Every day in the country, people suffer unnecessary injury due to the recklessness and negligence of others. Whether it’s a drunk driver or a careless doctor, an irresponsible property owner or a greedy corporation, those who cause injury to others must be held accountable. The goal of the American tort system is to grant injured persons the right to pursue compensation to restore themselves. Of course, we recognize that for many clients, life may never again be the same. Still, we aim to secure for them monetary redress that will allow them to be prepared for the next chapter. In instances of egregious wrongdoing, we may sometimes request punitive damages, the purpose of which is not just to restore the victim, but to punish the wrongdoer (also sometimes referred to as the “tortfeasor”). These damages may sometimes be triple the original award. At The Law Offices of Jeffrey S. Glassman, our Boston personal injury lawyers fight aggressively to protect the rights of the injured and to ensure the compensation they receive is just. 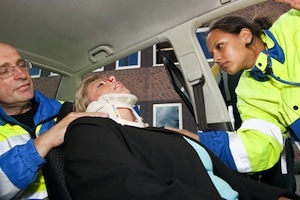 To succeed in a personal injury lawsuit, several things must be kept in mind. The first is the statute of limitations. There are some situations in which the statute of limitations may be “tolled” or extended, but that will be the exception rather than the norm. Although 3-to-4 years may seem like ample time, the fact is, a considerable amount of investigation may be required before the filing to identify all potential defendants, proper defendants, and legal theories. Additionally, depending on the defendant (i.e., medical establishment, government), requirements to notify the defendant of the intention to file a lawsuit may be much more stringent. In some injury lawsuits, a settlement may be reached before plaintiff formally files a lawsuit. Most settle before trial. In general, we all owe a duty of care to act as a reasonably prudent person would under similar circumstances. When we operate a motor vehicle, for example, we must adhere to the speed limit and pay attention to the road in front of us. Failing to do so would be a breach of duty, and if it results in a crash that causes injury, the driver could be held liable for negligence. What if a plaintiff shares some degree of responsibility for his or her injury? Sharing fault is what is known in the legal sphere as comparative fault. In some states, it’s a bar to recovery. Not so in Massachusetts, which follows the modified comparative fault rule with a 51 percent bar. Per M.G.L.A. 231 § 85, the plaintiff can recover damages so long as he or she is not more at fault than the defendant. So long as that is not the case, the plaintiff can still recover damages, though the plaintiff’s negligence will reduce the amount of the defendant’s liability. So for example, if a jury overseeing a car accident lawsuit finds plaintiff to be 20 percent at-fault and awards $100,000 in damages, the award would be reduced by $20,000, so the total amount plaintiff could collect is $80,000. Our lawyers can help you determine the strength of your injury case before guiding you to the best course of action to maximize compensation. A car accident can upend your whole life. More than just damage to your vehicle, a crash can leave you with serious, debilitating injuries, strip you of the ability to work or enjoy the things you once did and even cost the life of someone you love.